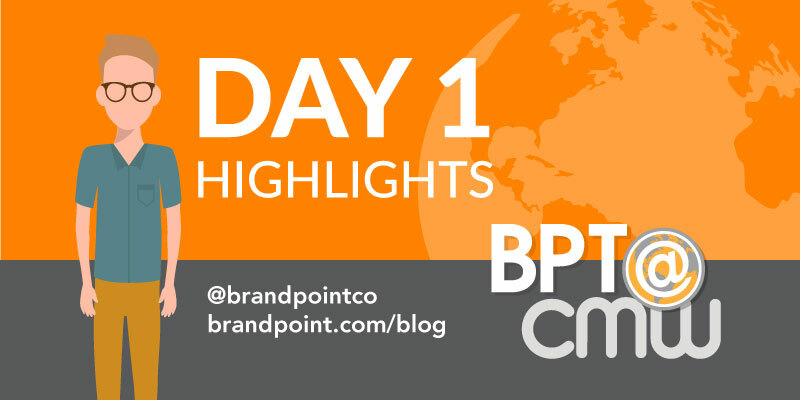 Day one of Content Marketing World is in the books! It was a busy day with tons of learning and I want to give you a recap of the sessions I attended and some things I learned. Call it a gut thing. Last year, Jay Acunzo of Unthinkable received the highest rating of any speaker at Content Marketing World. So this year, he was awarded with a keynote spot and he sure delivered. His presentation (appropriately titled) was all about how easy it is to create really really average content. He spoke a lot about intuition and how we, as marketers, use so very little of it. 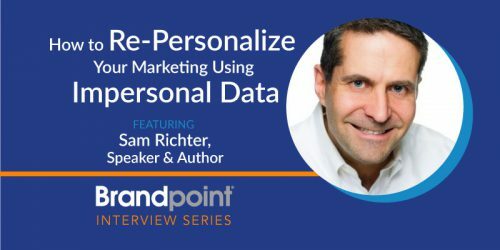 His message boiled down to this: Easy access to massive amounts of data, if not used responsibly, can make it harder for marketers to listen to ourselves and our audience. This was a terrific presentation about doing the simple things well. Speaker: Ardath Albee from Marketing Interactions, Inc.
Ardath Albee probably could have talked for about three hours on this topic and I would have hung onto her every word. Talk about a big marketing misstep and a massive opportunity to be better. Albee lives and breathes buyer personas and stated early and plainly that marketers tend to create very flat ones. She did a great job of outlining the most essential components of a B2B buyer persona and tactics for how to maximize your content to serve them. One thing that really stuck out to me was the idea of consensus. In the B2B buying process, each stakeholder has different needs. But they all need to reach consensus before making a purchase. So how do you address all those comments or concerns in your content? One of my favorite concepts she shared (aside from the one above) was buying as a form of change management. 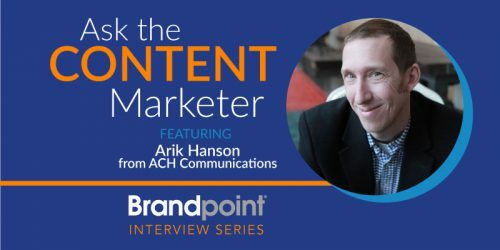 When you truly understand how change happens and affects the organizations you’re trying to reach, you can start to create useful content that will position your brand as the benchmark to which your competitors are measured. This was a great presentation, filled with practical advice and tactics. Content audit. I don’t know what you see when you picture that term. But I see a tie-dyed, six-sided Rubik’s Cube that you have to solve in the dark. It just seems impossibly complicated. Laura Creekmore did a nice job of breaking it down into a manageable process and gave us some tools to help. The most helpful tip I got was her first point: Define your goals. A content audit can be a big project no matter what. But it can become downright miserable if you don’t know what you’re looking for. And with the right goals, you can start to naturally prioritize the next three steps Creekmore suggests we identify what needs to be audited, clearly define our parameters and then capture the content. One that that stuck out to me was that a “keep or delete” method of evaluating your content isn’t helpful. 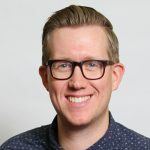 By applying a more qualitative, non-binary evaluation method, you can start to develop a more useful standard by which to look at your existing content and how to make future content even better. 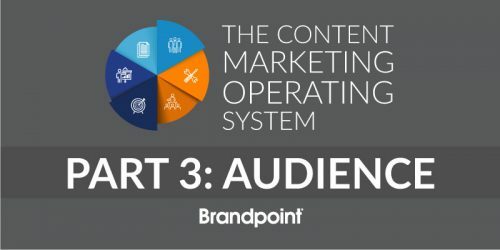 BONUS INSIGHT: A content audit can be outsourced, sure. But Laura makes a compelling argument that you can gain invaluable insights if you do it yourself. And, when you treat your own content like an asset, your organization will start to view it as such. To be honest, this one was a little over my head. Not because Andrea wasn’t great (she was), but because I don’t know much about Agile yet. The biggest takeaway I walked out with was that Agile is a concept that can work for for almost any kind of organization. But Scrum isn’t built for marketers. She made things like Kanban (an alternative Agile methodology) or Scrumban (a Scrum-Kanban hybrid) seem really approachable and, most importantly, implementable. One concern I’ve heard with Scrum is that it takes widespread organization buy-in to be successful. And that can be difficult. These different methods (or hybrids) can be rolled out and implemented in smaller chunks and require less organizational change upfront. This presentation made me even more curious about Agile and gave me some great questions to start with. We know full well how difficult it can be to create compelling content in a highly regulated field like heath care. The Cleveland Clinic, however, managed to do that with incredible success. Amanda Todoriovich gave a great talk about how she and a small team built Health Essentials (a media branch of the Cleveland Clinic) from nothing into a revenue driver that gets a few million site visitors each month. One of her big secrets? There were so many quotable insights in this talk. They all boiled down to a simple concept: Know who your audience is and create content that helps them. As a health care organization, Cleveland Clinic was positioned to help a lot of people and their biggest successes came from understanding exactly who their audience was and figuring out the most effective ways to provide value. And it paid off. Not only do they boast millions of monthly site visitors, their click-through rates are CRAZY. Like. 60% crazy. One really inspiring part of their story was how she built her team. She didn’t go out and hire 20 new content creators and teach them about Cleveland Clinic. She pulled in internal employees who were already helping to tell compelling stories to their existing audience. First, I had no idea who this guy was before I saw he was speaking at Content Marketing World. Second, call me a crotchety old curmudgeon but I had every intention not to like this guy. But he was undeniably charming and likable. He’s really funny. He swore. A lot. And to me, that was oddly refreshing. He talked about how his 19-year-old son is so good at avoiding ads and things he doesn’t like. He succeeded by breaking all the rules and created only things that felt honest and real. His mantra is “Do what you can’t.” and is embodied in this amazing video he shared with us. This was a great and inspiring way to end the first day. Looking for a recap of Day 2? Boom.